A school renovation, refurbishment or building project is a large undertaking that requires lots of attention to detail and a keen eye. It’s a project that needs specialist attention and is something that the team here at The School Renovation Company knows a lot about. Whether you’re thinking of renovating the library, decorating classrooms or extending the hall area, we will do our very best to work within the typically limited timeframe and cause minimal disturbance. 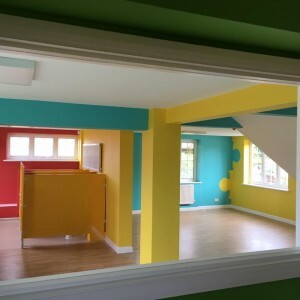 We have worked throughout the Beaconsfield and surrounding areas including Loudwater, Wooburn Green and the Chalfonts on various school renovation projects over the years and know exactly what it takes to make a project work. Why not look at our Case Studies and our Facebook Feed for examples of recent projects we have completed.